Here are more discounted and free Kindle book offers for you from highly-rated independent authors who have discounted the pricing for a limited time just for members of the blog. While the pricing of the free status is valid at the time of this posting, please make sure you check the pricing carefully before you press the “buy” button as it could change at any time! 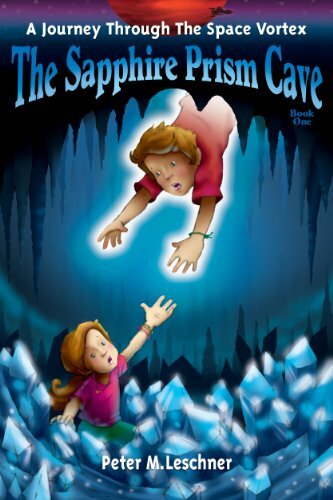 The Sapphire Prism Cave, by Peter M. Leschner, is regularly $4.99 but has been discounted 80% to just $0.99 today in the Amazon Kindle store, and this book has received an average user rating of 4 out of 5 stars based on 3 customer reviews. The Sapphire Prism Cave takes you on a soaring journey of the heart and imagination. James and Julia, spirited, fun loving 11-year-old twins, stumble upon an incredible cave filled with multi-colored, magic crystals which endow them with special powers that touch and transform their childhood in wonderful ways. Everything changes when James is mysteriously drawn through a hole in the cave’s ceiling and transported through a space vortex to a planet in a distant galaxy. There he uses his newfound powers to surmount challenges he encounters in the enchanted kingdom he discovers. Back home, Julia and her family attempt to unlock the mystery of James’ disappearance. Will James and Julia be reunited after being separated by time and space? Join them on their adventures and find out! The Sapphire Prism Cave is Book 1 of the A Journey Through The Space Vortex trilogy. Click here or type in http://smarturl.it/002no3 into your web browser to pick up your copy of The Sapphire Prism Cave . Third Willow, by Lenore Skomal, is regularly $4.99 but has been discounted 80% to just $0.99 in the Amazon Kindle store, and this book has received an average user rating of 5 out of 5 stars based on 13 customer reviews. It’s the summer of ’54 in the sleepy midwestern town of Sand Flats, Nebraska. Four lonely misfits forge an unlikely friendship under the draping branches of the third willow–a safe place where humor, magic and sorrow coexist. There they discover that best friends can ease the pressures from the adult world that threaten to steal their innocence. Ringleader Hap–a poor man’s Peter Pan–is unwilling to let the abuse of his alcoholic father taint his boyish optimism while he secretly searches for his missing mother. Obsessed with his Indian roots, he constructs a carefree world on the outskirts of town. As the new kid in Sand Flats, tomboy Patsy joins him, eager to escape her father’s iron rule and the pain afflicting her wounded brother, a Korean War veteran. Together, Hap and Patsy befriend timid Beah, who struggles to earn the love of her cold mother following the death of her only brother. It takes levelheaded Raz, the eldest of the only Jewish family in town, to be the conscience of the group. Told through their eyes, this is a tale of a summer of unbridled adventure, which ends unexpectedly and abruptly forces them all into adulthood. As tender as it is intense, Third Willow will transport you to the last summer of your innocence. 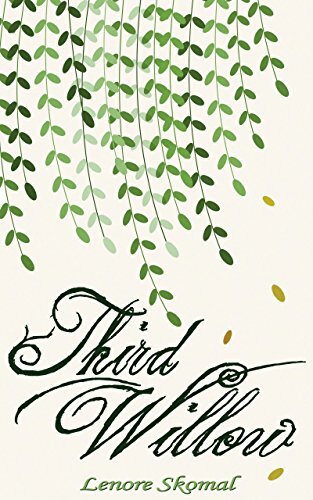 Click here or type in http://smarturl.it/thirdwillow into your web browser to pick up your copy of Third Willow. How to Survive When the Bottom Drops Out, by J.T. Sather, is regularly $4.99 but has been discounted 40% to just $2.99 in the Amazon Kindle store, and this book has received an average user rating of 4.7 out of 5 stars based on 43 customer reviews. There is a lot of discussion these days about whether or not the economy is improving. Here are two facts: The economy has been very, very bad and the only way it is going to improve for you is if you take control of your situation. Jt Sather, author of How To Survive When the Bottom Drops Out, has ridden the economic roller coaster for twenty years. He’s experienced the highs of a multi-million dollar construction business and the lows of squatting in a friend’s foreclosed mansion. He doesn’t base his future on Wall Street but on Main Street. In his debut book, he tells the brutal truth, but with humor and hope; reviewers have described it as listening to a great storyteller share his life over a couple of beers. No matter where you are in the Economic Recovery, you’ll find anecdotes and advice you can use today, tomorrow, and whenever the bottom drops out of your life. 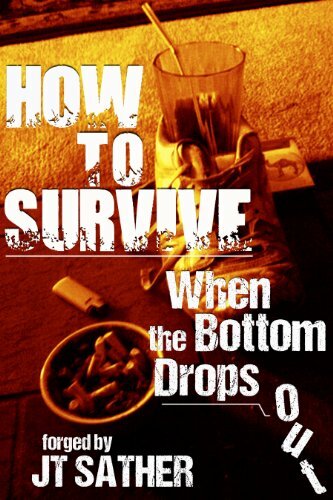 Click here or type in http://smarturl.it/oghztu into your web browser to pick up your copy of How to Survive When the Bottom Drops Out. 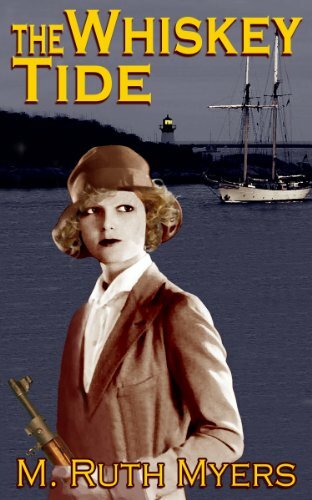 The Whiskey Tide, by M. Ruth Myers is free today in the Amazon Kindle store, and this book has received an average user rating of 4.6 out of 5 stars based on 95 customer reviews. I received a note from the author saying this is the last day for this book to be free. At the height of Prohibition three sisters in a proper Massachusetts family begin smuggling whiskey from Canada in a desperate bid to keep their newly widowed mother and invalid brother in the family home. The novice rum-runners use the only vessel available to them, the family pleasure schooner. Click here to pick up your copy of The Whiskey Tide. 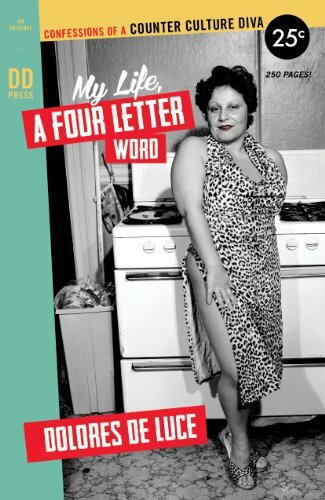 My Life, A Four Letter Word, by Delores DeLuce, is free today in the Amazon Kindle store, and this book has received an average user rating of 4.9 out of 5 stars based on 16 customer reviews. I received a note from the author saying this book would be free through September 2nd. Dolores DeLuce, a five-foot Diva in six-inch heels, takes us on a bumpy ride from her gray days in New Jersey through her escape to the tumultuous post-Stonewall days of ‘70’s Los Angeles and gay San Francisco. When her Italian American family rejects her after the birth of her mixed-race daughter, she creates a new family with the most unlikely people under the most unusual circumstances. Her new family includes Divine, assorted bad boys on Venice Beach, and her loving gay “husbands.” Along the way she meets John Waters, Edie Massey, Rip Taylor and Joan Rivers, is crowned “Miss Alternative L.A.” and wins The $1.98 Beauty Show. Through tears and glitter, Dolores survives her bitter family estrangements only to face the pain of the AIDS crisis first-hand. Click here to pick up your copy of My Life, A Four Letter Word . Attached below are free and discounted Kindle book offers for your consideration to kick of your morning. For those books listed as being “free” in this post – while the pricing of the free status is valid at the time of this posting, please make sure you check the pricing carefully before you press the “buy” button as it could change at any time! 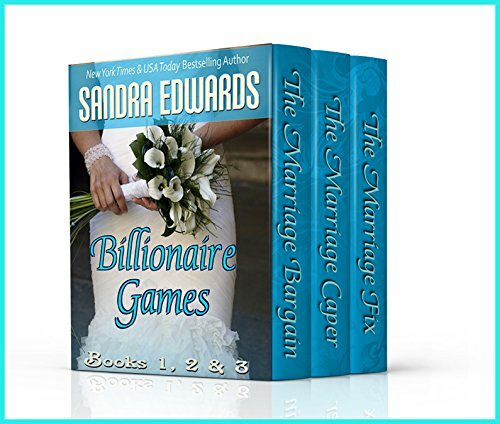 Billionaire Games Boxed Set, is a three book box set collection by Sandra Edwards, and is regularly $9.99 but has been discounted 90% to just $0.99 today in the Amazon Kindle store. In THE MARRIAGE BARGAIN Julian de Laurent needs a temporary wife. Camille Chandler needs a job after he inadvertently gets her fired. If she agrees, he’ll pay her five million to marry him. It’s just a business deal, but neither could have foreseen what happens next, especially Camille, when she learns he’s capable of stealing her heart. In THE MARRIAGE CAPER Andre de Laurent, Julian’s little brother finds himself in a predicament. Is it possible that Tasha Gordon, his new sister-in-law’s best friend, is the answer to his prayers? In THE MARRIAGE FIX little sister Lecie travels to America where she may well have found her Prince Charming–who’s in desperate need of help. Click here or type in http://smarturl.it/a2h4z4 into your web browser to pick up your copy of Billionaire Games Boxed Set. 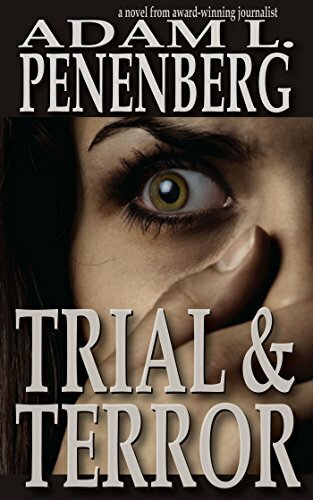 Trial and Terror, by Adam L. Penenberg, is regularly $4.99 but has been discounted 80% to just $0.99 in the Amazon Kindle store, and this book has received an average user rating of 4 out of 5 stars based on 39 customer reviews. What’s more, he knows all about Summer’s past. As Summer pursues her next case, this time to keep an innocent woman off death row, elements of that past–a mysterious case of childhood amnesia, her police officer father’s involvement with a serial killer, a terrifying attack she survived just months earlier–entwine with her present legal work, her missing mother, and her rocky relationship with a private investigator, all of which culminate in a thrilling trial… and terror. Click here or type in http://smarturl.it/tsg7m9 into your web browser to pick up your copy of Trial and Terror . Heaven Sent, by E. Van Lowe, is regularly $3.99 but has been discounted 75% to just $0.99 in the Amazon Kindle store. This book has received an average user rating of 5 out of 5 stars based on 17 customer reviews. 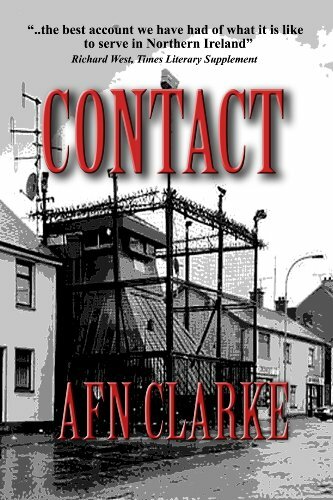 Contact, by AFN Clarke, is regularly $9.99 but has been discounted 67% to just $2.99 today in the Amazon Kindle store, and this book has received an average user rating of 4 out of 5 stars based on 31 customer reviews. Click here or type in http://smarturl.it/17362t into your web browser to pick up your copy of Contact. 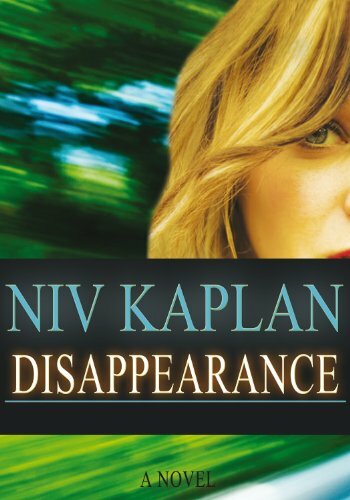 Disappearance, by Niv Kaplan, is free today in the Amazon Kindle store, and this book has received an average user rating of 4.9 out of 5 stars based on 30 customer reviews. I received a note from the author saying this is the last day for this book to be free. Ever Wonder What Would Happen If Your Girl Disappeared ? Click here to pick up your copy of Disappearance. 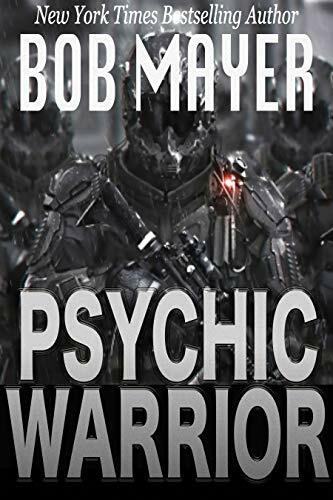 Psychic Warrior, by Bob Mayer, is free today in the Amazon Kindle store, and this book has received an average user rating of 4.4 out of 5 stars based on 8 customer reviews. I received a note from the author saying this book would be free through September 1st. Psychic Warrior takes warfare into the virtual plane through avatars and then reinserts the covert operatives into the real world. The results can be devastating. Mayer uses his real Military experience in the then-classified Special Forces Trojan Warrior program, which was actually conducted, and writes a novel about the new frontier of warfare: the mind. The Russians sink the submarine USS Thresher in 1963 using their classified psychic project, but something goes awry and all are killed. All except one scientist who plans to take the project to a higher level. Decades later, the Russians unleash Chyort, also known as the ‘Devil’. Chyort is a cyborg that can project into the virtual world with almost limitless power and reassemble his avatar anywhere in real world to wreak havoc. As the Russian mafia steals 20 nuclear warheads to auction them to the highest bidder, Chyort implements his own plan of revenge. Click here to pick up your copy of Psychic Warrior. 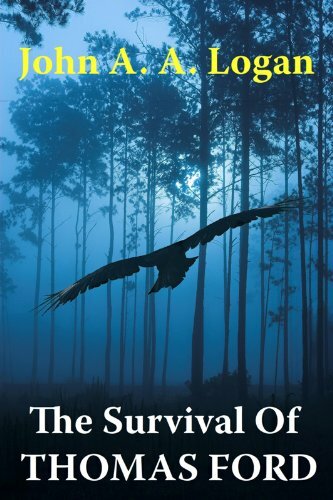 Today’s Featured Kindle Book of the Day is The Survival of Thomas Ford, by John A.A. Logan, and is just $2.99 in the Amazon Kindle store. This book has received an average user rating of 4 out of 5 stars based on 99 customer reviews. The young driver’s father is Jack McCallum, the powerful entrepreneur who has built a housing empire, McCallum Homes, on the high hills surrounding the city. Jack has his own dark secret to protect, as well as his business edifice to hold onto. There is no way in the world that Jack McCallum will ever let anything threaten the future of McCallum Homes. Click here or type in http://smarturl.it/lbdh0x into your web browser to pick up your copy of The Survival of Thomas Ford. Why do I write reviews? Well, I do read what others write for reviews, and those reviews do influence my decision to (a) first try out the free Kindle sample, which a lot of the time leads to me (b) purchasing a book. I appreciate the time and effort complete strangers took to write a review to tell me the good and the bad, and common courtesy tells me I should do the same. If I liked it, I’ll tell you – if I didn’t like it, well, let’s just say I’ve been told my professional career has been limited a time or two for being too honest (i.e., blunt). If you’ve looked at as many reviews on the Amazon website like I have over the years while looking for books to promote on the blog, you learn to spot the friends and family reviews pretty quick. As far as the reviews I write, I try to write an honest assessment if I liked something or not without providing a spoiler (why write a spoiler and ruin the ending for everyone?). I strongly believe your and my taste regarding the likes and dislikes of a particular book are more honest than a paid book reviewer a major publishing house contracts with to have in a book’s advertising materials, and my motto is to keep it short and sweet on the likes and dislikes without providing a Cliff’s Notes version of the book. Some people think I shouldn’t be writing reviews because I have this blog, and due to the blog’s popularity it could influence people’s behavior, especially if I “give” it a bad rating – every once in a while I will have a rather interesting dialogue with a few folks regarding the same. My response to those type of comments is my – and anyone else’s – review of a book reflects my opinion only: your opinion may vary, and we probably won’t agree on everything. For example, something I really liked you may absolutely detest and puke all over it. The same could be true for something you thought was outstanding and I may question why it was published in the first place. When I read reviews I don’t put that much weight into the “star” rating, but I look at the comments, mainly to see if they are substantive to back up the rating as well as to see what the reviewer’s pluses and minuses are with the book. If you look at those written comments, sometimes they match up to the “star” rating and sometime they do not. If you would like to read the reviews I have written, you can click here or type in http://smarturl.it/mgreviews into your web browser. As I type this post, I have 13 books I need to review but you will see just about everything I’ve read over the last three years – you’ll see I do read a lot of the free book offers, and you’ll also see I have been on a science fiction kick for a while. You can vote on the individual reviews on the Amazon website if you think they were helpful or not with a simple “Yes” or “No” vote – you can click on those voting options immediately below the text of each review. The more “Yes” votes you get in proportion to the overall votes – as well as some super-secret factors Amazon won’t divulge – you will move up in the review ranking scale (yes, Amazon ranks the reviewers). Right now, the #1 Amazon reviewer is Ali Julia: she has written 1,592 reviews, has received 12,019 “Yes” votes for the reviews’ helpfulness, and has 10 people following her reviews. Anyway, that’s all I can type for now: have a great weekend! Attached below are today’s offering of discounted and free Kindle book titles – I think you will enjoy the variety of genres today. For those books listed as being “free” in this post – while the pricing of the free status is valid at the time of this posting, please make sure you check the pricing carefully before you press the “buy” button as it could change at any time! 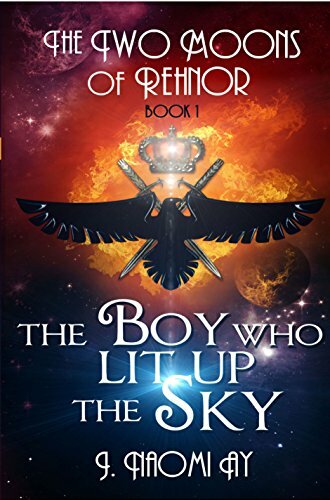 The Boy Who Lit up the Sky, by J. Naomi Ay, is regularly $2.99 but has been discounted 67% to just $0.99 today in the Amazon Kindle store, and this book has received an average user rating of 4.4 out of 5 stars based on 18 customer reviews. Click here or type in http://smarturl.it/bbyyng into your web browser to pick up your copy of The Boy Who Lit up the Sky. 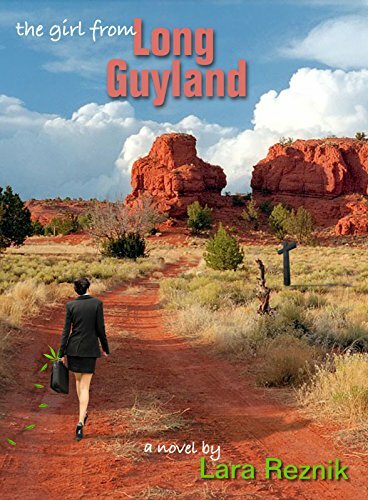 The Girl from Long Guyland, by Lara Reznik, is regularly $2.99 but has been discounted 67% to just $0.99 in the Amazon Kindle store, and this book has received an average user rating of 4 out of 5 stars based on 243 customer reviews. OMG, a CUL8R Time Travel Mystery / Romance, by Bob Kat, is regularly $2.99 but has been discounted 67% to just $0.99 in the Amazon Kindle store, and this book has received an average user rating of 4.9 out of 5 stars based on 28 customer reviews. Click here or type in http://smarturl.it/qxzv6e into your web browser to pick up your copy of OMG, a CUL8R Time Travel Mystery / Romance. 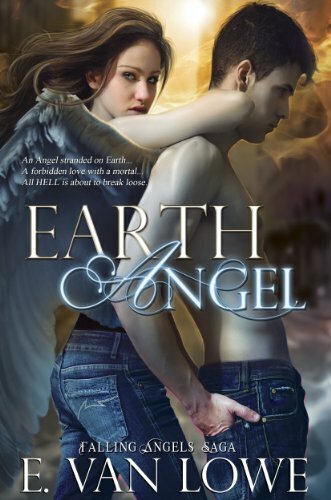 Earth Angel, by E. Van Lowe, is regularly $3.99 but has been discounted 75% to just $0.99 today in the Amazon Kindle store, and this book has received an average user rating of 4.6 out of 5 stars based on 30 customer reviews. 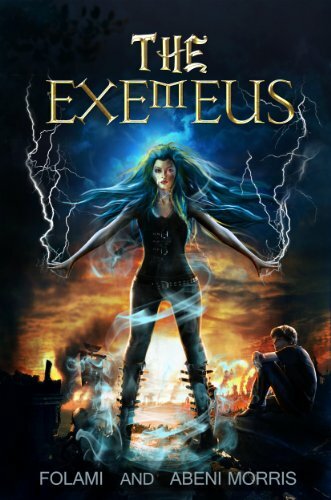 In the dramatic sequel to “Boyfriend From Hell,” Megan becomes a pawn in the power struggle between Angels and Nephilim, and winds up in a gripping life-or-death battle to save herself, the angel she loves, and all of mankind from unspeakable evil. Ultimate Justice, by M.A. Comley, is regularly $3.99 but has been discounted 75% to just $0.99 today in the Amazon Kindle store, and this book has received an average user rating of 4.6 out of 5 stars based on 18 customer reviews. The horrific case piques the interest of P.I. Lorne Simpkins. It doesn’t take long before Lorne learns that young, helpless women are being caged and sold to the wealthy and salacious. Old wounds are wrenched open when she suspects a cover-up by the very authorities that should be keeping lawful order. Can she trust the self-serving journalist bent on making the human-trafficking ring his next big story? When her daughter is involved in a life-threatening accident, it’s difficult for Lorne to keep her head in the game. But Lorne and her ex-MI6 husband, Tony, are determined to end the repulsive slave trade and bring the criminals to justice–even if it means Lorne ends up locked in a cage herself. 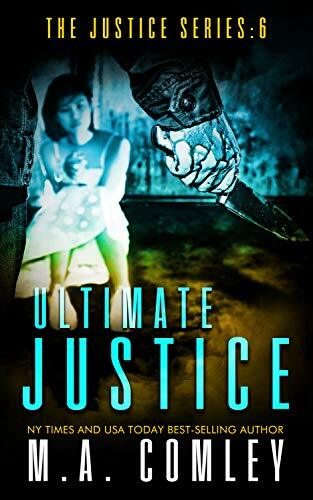 Click here or type in http://smarturl.it/2ycd2q into your web browser to pick up your copy of Ultimate Justice. Water Witch, by The Atkinson, is regularly $5.99 but has been discounted 50% to just $2.99 today in the Amazon Kindle store, and this book has received an average user rating of 4.1 out of 5 stars based on 39 customer reviews. When a witch can’t control her own power, someone will certainly control her. ALAYSHA is a unique witch reared to be the tool of Sarum’s Emir–who just happens to be her own father–to conquer and plunder lesser tribes, bringing them into the city as chattel for its citizens to own and exploit in their own turn. Lately, though, he has used her to destroy entire villages, taking no captives and preserving no lives. The jaded young witch begins to question her megalomaniac father and his purpose despite the years of teaching she has received from him that the enemy is nothing but a target to destroy. Ostracized by her own people as a dangerous tool her father controls and uses at whim, and trained by him to love no one lest she become too compassionate to do her duty, she soon finds herself embroiled in a battle of wills and violence that forces her to see things differently. The one charismatic youth who manages to escape her deadly power in her latest annihilation urges her to question her heritage, sending Alaysha into the darkest depths of her own memory for answers, and into a battle to save those she comes to love from certain death. See if discovering that ability to love has only taken Alaysha into deeper waters of power and manipulation. Water Witch is the first in a new adult fiction sword and sorcery series that combines historical fantasy with supernatural fantasy, adventure, and romance. It takes the reader on a journey of magic, strong female characters, and of course a touch of romance that will resonate with women of all ages. If you’re a new adult/college reader or a lover of women’s fiction where sword and sorcery blends with just the right amount of romance and action/adventure, this series offers you a delightful few hours’ enjoyment. 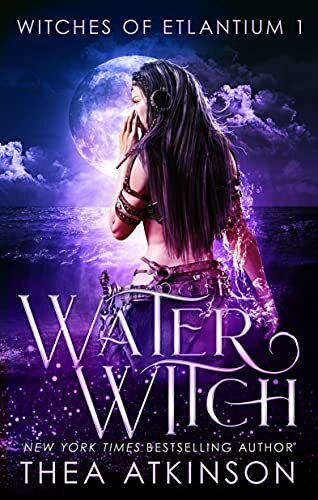 If you enjoy stories where the romance isn’t too heavy handed and cliché, if you enjoy the idea of strong women, supernatural fantasy, and warrior queens, then water witch and its sequels (Elemental Magic series) just may scratch that itch. Enjoy a little sword and sorcery with a unique spin on witches and wizards, old world mythology, and a different perspective on elemental magic. There are several stories in this series, with four main novels and a series of novellas covering back story of favorite characters and side stories filling in the mythology. Click here or type in http://smarturl.it/waterwitch into your web browser to pick up your copy of Water Witch. A Knight’s Temptation, by Catherine Kean, is free today in the Amazon Kindle store, and this book has received an average user rating of 4.1 out of 5 stars based on 24 customer reviews. I received a note from the author saying this book is free through September 2nd. When Lady Leona Ransley sets eyes upon the bold warrior who enters the tavern room, she recognizes him: Aldwin Treynarde, the earl’s son who almost caused her death twelve years ago–and the only man who has ever kissed her. Shocked, she fights her emotions, determined to hand him the stolen ruby pendant, take the reward, and vanish. Aldwin senses the husky-voiced beauty is more than she seems. She may know the whereabouts of his lord’s enemies. She also might be his means to earn what he wants most: knighthood. Taking Leona hostage, he spirits her away. She fights him at every chance. Aldwin desires his captive more than any woman he’s ever met, and when he discovers who she really is, he has one last chance to protect her life. Only by resolving what happened between them years ago and by fighting side by side can Aldwin and Leona defeat the traitors and surrender to their greatest temptation: love. Click here to pick up your copy of A Knight’s Temptation. 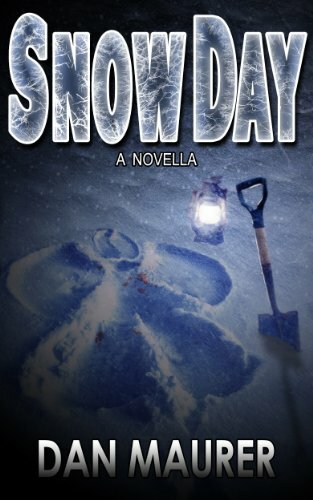 Snow Day: a Novella, by Dan Maurer, is free today in the Amazon Kindle store, and this book has received an average user rating of 4.6 out of 5 stars based on 58 customer reviews. I received a note from the author saying this book would be free through August 31st. Click here to pick up your copy of Snow Day: a Novella. Here are more free and discounted Kindle book offers for your consideration today: for those books listed as being “free” in this post – while the pricing of the free status is valid at the time of this posting, please make sure you check the pricing carefully before you press the “buy” button as it could change at any time! 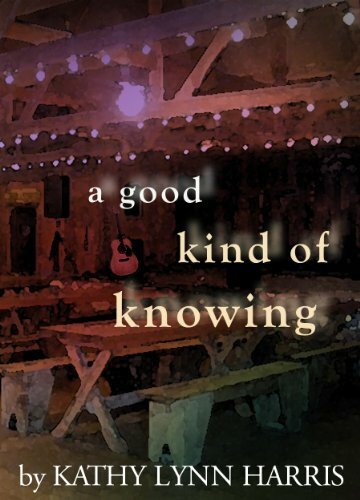 A Good Kind of Knowing, by Kathy Lynn Harris, and is regularly $2.99 but has been discounted 67% to just $0.99 today in the Amazon Kindle store, and this book has received an average user rating of 4.7 out of 5 stars based on 45 customer reviews. Imagine if Maeve Binchy grew up in Texas and wrote an old-school Larry McMurtry novel. Think Hope Floats meets High Fidelity. That’s how critics are describing A Good Kind of Knowing—winner of the National Federation of Press Women’s 2013 Novel for Adult Readers Award—from the author of the highly acclaimed and number-one Amazon bestseller, Blue Straggler. Sera Taylor’s store is the one place in Lakeville, Texas, where individuals from all walks of life share a universal love for music and a respect for the gypsy-like woman behind the antique glass counter. Readers get a taste of the unorthodox connection between Sera and Mack, a young local cowboy and musician, and Sera’s previously untested devotion to her husband Bill. They learn of her relationship with Ruby D., the vibrant but misguided mother of five; with Louie, the shy high school band director; with Beverly, the religious, upper-class socialite; with Antonio, a local bar owner striving to make a life for himself; with Tommy Lee, a rich and directionless gigolo; and with Wes, the only out-of-the closet gay man for miles. As Sera battles a serious illness, the characters must overcome long-held stereotypes to save Sera’s store, and in the end, large parts of themselves. Click here or type in http://smarturl.it/ez6kxi into your web browser to pick up your copy of A Good Kind of Knowing. 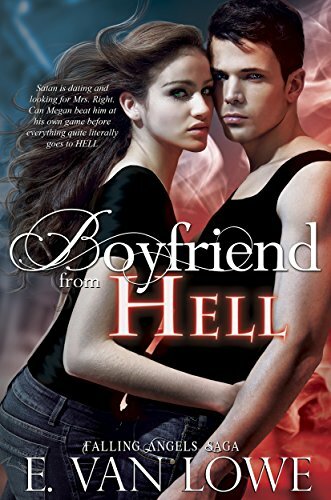 Boyfriend from Hell, by E. Van Lowe, is regularly $2.99 but has been discounted 67% to just $0.99 in the Amazon Kindle store, and this book has received an average user rating of 4.1 out of 5 stars based on 54 customer reviews. 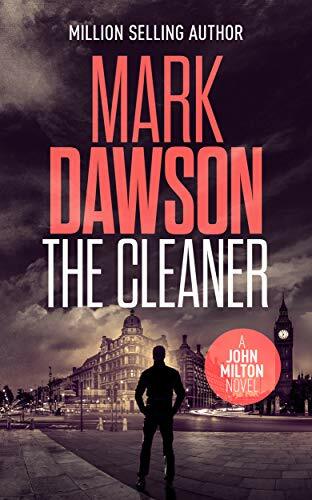 The Cleaner, by Mark Dawson, is just $2.99 in the Amazon Kindle store, and this book has received an average user rating of 4.9 out of 5 stars based on 31 customer reviews. Milton is the man the government sends after you when everything else has failed. Ruthless. Brilliant. Anonymous. Lethal. You wouldn’t pick him out of a crowd but you wouldn’t want to be on his list. But now, after ten years, he’s had enough – there’s blood on his hands and he wants out. Trouble is, this job is not one you can just walk away from. Sharon Warriner is a single mother in the East End of London, suicidal with fear that she’s lost her young son to a life in the gangs. After Milton saves her life, he promises to help. But the gang, and the charismatic rapper who leads it, is not about to cooperate with him. Click here or type in http://smarturl.it/thecleaner into your web browser to pick up your copy of The Cleaner. Blood Duty, by J.R. Tomlin and C.R. Daems, just $2.99 today in the Amazon Kindle store, and this book has received an average user rating of 4.6 out of 5 stars based on 14 customer reviews. Jessup is a scout for the Ilkasar Empire, even though it conquered his own people. His affair with Tamra of Wayfare Keep is the one thing connecting him to the Empire he hates. But Tamra’s loyalty is to her oaths as a protector of the Empire. While scouting, Jessup discovers the tables are about to be turned on Ilkasar: enemies are using a blood ritual to summon invincible demons, and now they’re at the head of an invading horde marching straight for Tamra’s forces. The two lead an army in a fierce battle against the demons, but their soldiers are slaughtered. In the chaos, Jessup and Tamra lose one another. Tamra and her remaining forces retreat to the walled city of Madrian where she leads a last stand they cannot win, while Jessup races for magical help. But even if he arrives in time, the Empire’s salvation may lie in a sacrifice that will destroy them both. 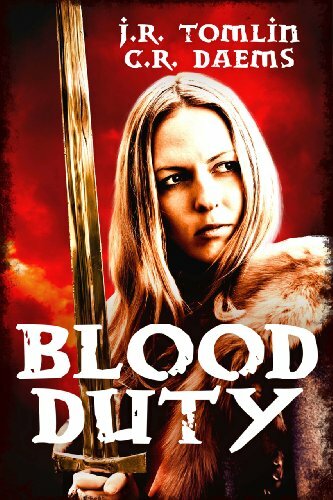 Click here or type in http://smarturl.it/m5ada0 into your web browser to pick up your copy of Blood Duty. 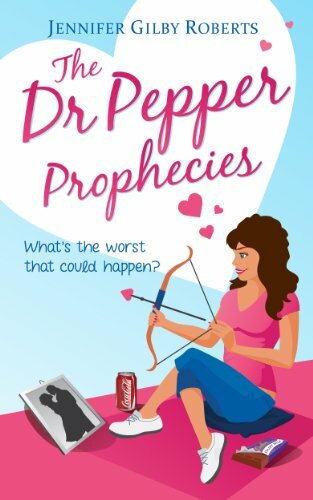 The Dr. Pepper Prophecies, by Jennifer Gilby Roberts, is free today in the Amazon Kindle store, and this book has received an average user rating of 4.4 out of 5 stars based on 21 customer reviews. I received a note from the author saying this book would be free through August 31st. • There just isn’t enough chocolate in the world to make up for the above. So what do you do when you’ve pretty much given up on your own life? Help others, of course! After all, what’s the worst that can happen? Well, Mel’s about to find out. Worse still, her misguided efforts seem to be driving a wedge between her and Will. Can Mel live without her best friend? Or is he the man she loves…? Click here to pick up your copy of The Dr. Pepper Prophecies . Passage Graves, by Madyson Rush, is free today in the Amazon Kindle store, and this book has received an average user rating of 4.8 out of 5 stars based on 17 customer reviews. I received a note from the author saying this book would be free through August 30th. Archeologist David Hyden is hell-bent to disprove his Biblical archeologist father’s religious theories. After his father is found dead at the center of Stonehenge with a strange glowing spiral engraved into his palm, David decides to challenge his father’s theory that Maeshowe—a passage grave ruin in Stenness, Scotland—possesses metaphysical powers. However, the morning after his arrival in Stenness, David wakes to find everyone else in town is dead. NATO pathologist Brynne Thatcher is trained to recognize the subtle features of subsonic death, a unique forte and her only leg-up in a career dominated by men. Sound is the ideal weapon: an indiscriminate killer that leaves almost no trace upon its victims. She is testing an acoustic cannon in the grasslands a short distance from Stenness. Thatcher is certain her weapon caused the Stenness massacre, but all bets are off when she pinpoints Maeshowe as the source of deadly noise. The ruin erupts with low-frequency sound every 77 hours. Each explosion is larger and deadlier than the last. The only clues to stopping Maeshowe are the spiral petroglyph glowing inside its central chamber and the lone survivor, David. Investigating the connection between the two glowing spiral symbols, Thatcher and David uncover Brenton’s most bizarre theory: There are four locks and four keys lost throughout antiquity. Any man who finds a matching lock and key will gain one of the powers of the Four Horsemen of Apocalypse (Conqueror, War, Plague, and Death). Displacement of a key awakened the passage grave. Unless the “key” is placed into the petroglyph “lock,” the ruin will kill every living thing. Finding the key won’t be easy. A clandestine brotherhood known as the Abaddon is sworn to protect the keys. As Maeshowe’s eruption spreads across northern Europe, the leadership of the Abaddon crumbles. A new leader of the dark society seeks to become Conqueror, and a race to the Apocalypse begins. 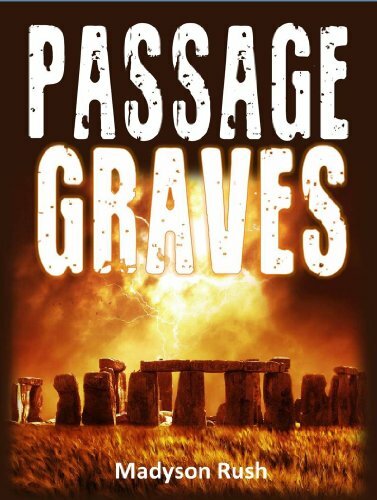 Click here to pick up your copy of Passage Graves. If you are reading this on the blog’s website (www.fkbooksandtips.com) or the blog’s Facebook page (www.facebook.com/fkbooks) I’m 150% certain your Kindle-owning friends and family would like to know about these offers, also – why not give the post a “Like” or “Share” so they can see the post, also? Louisiana Plantation Collection, is a four book box set collection by Jennifer Blake, and is regularly $9.99 but has been discounted 90% to just $0.99 today in the Amazon Kindle store, and this book collection has received an average user rating of 4 out of 5 stars based on 252 customer reviews. Renold spins an enchanting tale of love and marriage, but Angelica only remembers their kiss before the steamboat exploded. How can she trust her supposed husband’s word–when he is her father’s sworn enemy? Amalie’s husband in an arranged marriage is uncaring and aloof during the day–but tenderly passionate in the dark of night. She could almost believe he’s two different men…. At a tournament, Rowan wins a special prize he can neither accept nor refuse: bedding his host’s young wife. Katrine declines to bear another man’s child at her husband’s command. The two play a defiant game of “Let’s Pretend”…but can it keep them apart? Roland proposes to Melanie to right a wrong. She accepts for vengeance. Will fiery passion join their troubled hearts–or ignite a final betrayal? Click here or type in http://smarturl.it/LPC1 into your web browser to pick up your copy of Louisiana Plantation Collection. Seducing the Rake, by Christina Skye, is regularly $3.99 but has been discounted 75% to just $0.99 in the Amazon Kindle store, and this book has received an average user rating of 4.3 out of 5 stars based on 6 customer reviews. Click here or type in http://smarturl.it/36sghe into your web browser to pick up your copy of Seducing the Rake. 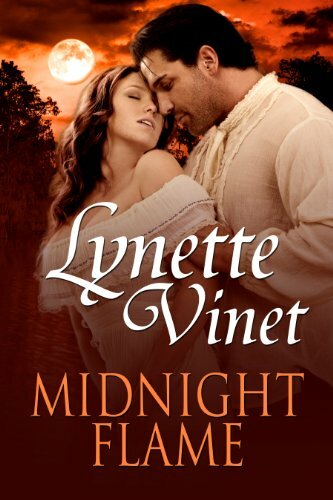 Midnight Flame, is a re-release by Lynette Vinet, is regularly $3.99 but has been discounted 75% to just $0.99 in the Amazon Kindle store. When vengeful Tony Duvalier discovers a “Miss L. Delaney” is responsible for his uncle’s death, the hot-tempered aristocrat vows to make her pay. But he can’t reconcile the emerald-eyed innocence of Laurel Delaney with his image of a scheming, cheap hussy. Despite the way she sets his heart aflame, he’s determined to humiliate the guilty femme fatale — even if it costs him once-in-a-lifetime love. When trouble-making Lavinia begs her cousin Laurel to hide her from the Duvalier family, Laurel disguises her relative as a traveling companion and steamboats away from New Orleans. But when she meets the very man she’s deceiving, she’s stunned by his arrogance, confidence … and charm. She knows she should avoid Tony Duvalier, but the moment this refined heiress feels his commanding embrace, she knows she has to submit to their sensual, passionate midnight flame. Click here or type in http://smarturl.it/s90s6r into your web browser to pick up your copy of Midnight Flame. Man of the Month, by Lisa Scott, is regularly $10.95 but has been discounted 82% to just $1.99 today in the Amazon Kindle store, and this book has received an average user rating of 4.5 out of 5 stars based on 15 customer reviews. Click here or type in http://smarturl.it/zri5tc into your web browser to pick up your copy of Man of the Month. Memoirs of an Outlaw: Life in the Sandbox, by Robert M. Tanner, III, is free today in the Amazon Kindle store, and this book has received an average user rating of 4.7 out of 5 stars based on 55 customer reviews. I received a note from the author saying this book would be free through August 30th. In Fallujah, during a particularly difficult time in the Iraq War, a group of Marines are deployed on a tour that will bring them closer together, while threatening to tear them apart. The Delta Company Outlaws are a group of Light Armored Reconnaissance Marines deployed in 2004 to one of the most hostile war zones in the world. Through the memoirs of one Marine, this touching story encapsulates the drama surrounding everyday life during the Iraq War. With a bond formed through blood, sweat, and tears, a group of unfamiliar Marines will come together stronger than family. Memoirs of an Outlaw: Life in the Sandbox is a dramatic new take on the Iraq War that focuses more on the personal aspects of war rather than exclusively on combat. With a touching approach to the camaraderie, daily life, and devastating losses, this enlightening memoir by Robert M. Tanner delves into the brotherhood that’s formed throughout a deployment while documenting the combat experiences and daily life of a Marine. Using personal experiences, this engaging story hooks readers with drama, action, and honesty while painting an illuminating picture of both the funny and tragic sides of war. Inspired by a bond that’s stronger than blood, Memoirs of an Outlaw began as a therapeutic way to document wartime experiences and eventually led to a full-fledged memoir. Deciding to focus on the daily life and camaraderie of war, the story captures the tension, drama, and bonding that comes with combat and living in a hostile environment far away from home. By focusing on the humanistic side of the armed forces, Memoirs of an Outlaw perfectly captures a unique moment in time during an extraordinarily challenging part of the war. 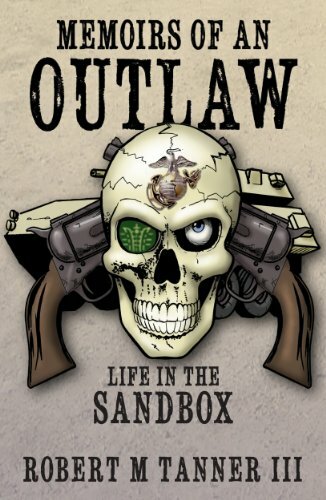 Click here to pick up your copy of Memoirs of an Outlaw: Life in the Sandbox. 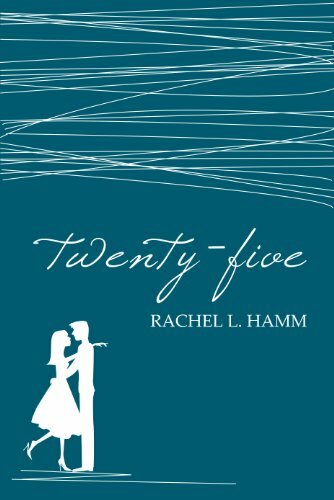 Twenty-Five, by Rachel L. Hamm, is free today in the Amazon Kindle store, and this book has received an average user rating of 4.9 out of 5 stars based on 16 customer reviews. I received a note from the author saying this book would be free through August 31st. Click here to pick up your copy of Twenty-Five. Attached below are today’s offering of discounted and free Kindle book titles. For those books listed as being “free” in this post – while the pricing of the free status is valid at the time of this posting, please make sure you check the pricing carefully before you press the “buy” button as it could change at any time! The Annihilation of Foreverland, by Tony Bertauski, is regularly $2.99 but has been discounted 67% to just $0.99 today in the Amazon Kindle store, and this book has received an average user rating of 4.3 out of 5 stars based on 141 customer reviews. 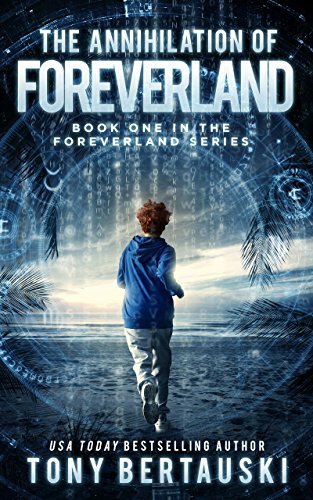 Foreverland is Dead (Book #2) is now available! Click here or type in http://smarturl.it/ugnuta into your web browser to pick up your copy of The Annihilation of Foreverland. 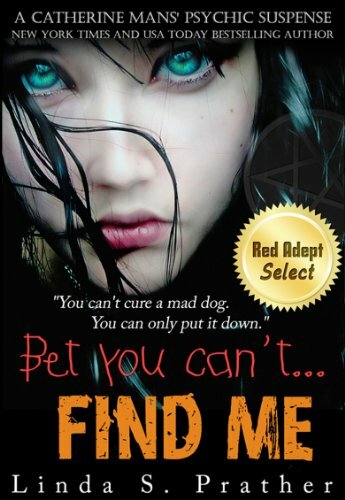 Bet you can’t…Find Me, by Linda S. Prather, is regularly $3.99 but has been discounted 75% to just $0.99 in the Amazon Kindle store, and this book has received an average user rating of 4.3 out of 5 stars based on 68 customer reviews. But Catherine’s past is coming back to haunt her. Someone is threatening the lives of everyone she loves. Nine bodies have been discovered, and Catherine is the FBI’s prime suspect. Click here or type in http://smarturl.it/gx91cm into your web browser to pick up your copy of Bet you can’t…Find Me. 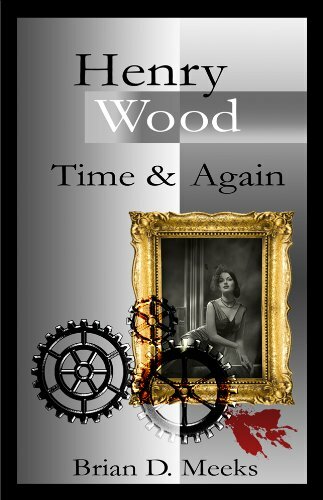 Harry Wood: Time and Again, by Brian Meeks, is regularly $3.99 but has been discounted 75% to just $0.99 in the Amazon Kindle store, and this book has received an average user rating of 4.6 out of 5 stars based on 14 customer reviews. Fans of Dashiell Hammett, who long for days of Bogart and Becall, will appreciate Henry Wood’s sleuthing. Take a journey back in time and see Manhattan as it was when the Yankees always seemed to win, and Brooklyn had Ebbets Field and the Dodger. There is history, intrigue and hints at romance that will keep you turning page after page until it is time to flip off the light. Click here or type in http://smarturl.it/mnl0ap into your web browser to pick up your copy of Harry Wood: Time and Again. Dancing Naked in Dixie, by Lauren Clark, is regularly $2.99 but has been discounted 67% to just $0.99 today in the Amazon Kindle store, and this book has received an average user rating of 4.4 out of 5 stars based on 136 customer reviews. Click here or type in http://smarturl.it/v7qyar into your web browser to pick up your copy of Dancing Naked in Dixie . 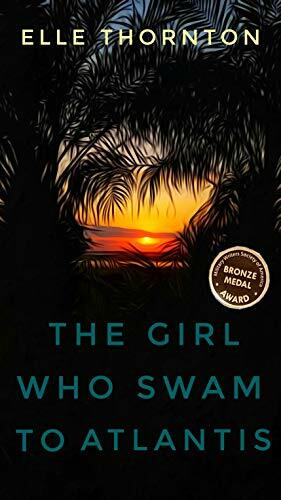 The Girl Who Swam to Atlantis, by Elle Thornton, is regularly $2.99 but has been discounted 33% to just $1.99 today in the Amazon Kindle store, and this book has received an average user rating of 4.4 out of 5 stars based on 66 customer reviews. 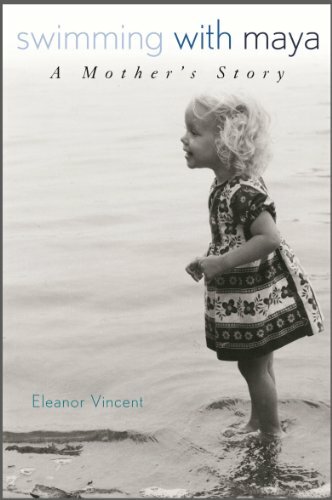 Nearly everything important in twelve-year-old Gabriella’s life that summer of 1957 can be traced to the river. On the North Carolina military base where she lives, she meets the African-American Marine Hawkins by the river’s brown-green water. Hawkins, a servant in the kitchen of her father’s quarters, becomes her swim coach and a person she can talk with–even about the tragedy of the youth Emmett Till. The fourteen-year-old was lynched two years earlier, his body thrown into Mississippi’s Tallahatchie river. But this river, her river, isn’t a place of death. Emmett’s spirit is alive in its waters. It’s a place of magic. Emmett had been murdered for whistling at a white woman. Could her friendship with Hawkins endanger the tough Marine? It doesn’t seem possible. Until a sudden storm on the river changes Gabriella’s life–forever. Click here or type in http://smarturl.it/qt514n into your web browser to pick up your copy of The Girl Who Swam to Atlantis. Disappearance at Mount Sinai, by Jim Musgrave, is free today in the Amazon Kindle store, and this book has received an average user rating of 4.7 out of 5 stars based on 3 customer reviews. I received a note from the author saying this book is free through August 31st. As seen in the Jewish Daily Forward! What if the anti-Semites, racists, and terrorists wanted the final revenge following the Civil War? How do you stop them from committing the worst atrocity? It’s 1866 in New York City. Civil War Vet and Detective Pat O’Malley’s biggest case returns him to the deep, dark South to search for the kidnapped wealthiest inventor and entrepreneur in America. But the widening gyre of anti-Semitism and racism pulls him down into the pit of hell itself. Disguised as an Oxford England Professor, O’Malley infiltrates the anti-Semites’ group and travels with his partners, Becky Charming and his father, Robert, down to a Collierville, Tennessee mansion. At the crux of this case are a Jewish father and his five-year-old son, Seth. They have developed a unique bond that relies on Jewish folklore and a belief that they are Mazikeen, half-angel and half-human, born from the loins of Adam’s strange female cohorts during the 130 years he was banished from the Garden. Will O’Malley find Dr. Mergenthaler before it’s too late? What does this world-wide eugenics group have planned for the mongrel races? Read Jim Musgrave’s Disappearance at Mount Sinai, the second mystery in the series of Pat O’Malley Mini-Mysteries. 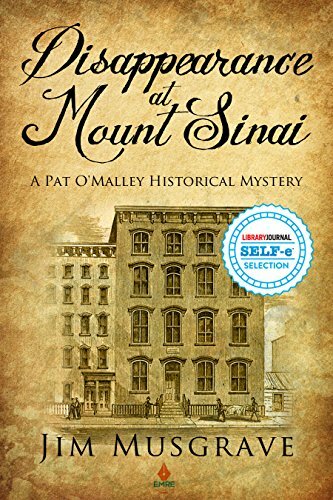 This is the second historical mystery in the popular Detective Pat O’Malley series. You can read more about this series and sign-up for the newsletter at the Pat O’Malley Mini-Mysteries web site. The second mystery was a featured “summer reading” book at the Jewish Daily Forward because it deals with the “mazikeen,” which are half-human and half-angel beings from Jewish folklore. Both of the mysteries so far in the series have Poetic (as in Edgar Allan Poe) style and supernatural elements that readers enjoy. Click here to pick up your copy of Disappearance at Mount Sinai. Murder at the War, by Mary Monica Pulver, is free today in the Amazon Kindle store, and this book has received an average user rating of 4.2 out of 5 stars based on 58 customer reviews. I received a note from the author saying this book would be free through August 29th. …until one of the fighters, Thorstane Shieldbreaker, is genuinely murdered, when the fun turns to deadly seriousness as Lord Stefan von Helle and Lady Katherine of Tretower struggle to solve the crime. Was it one of their own SCA members, a mundane outsider, or Lady Katherine herself? The Society for Creative Anachronism (SCA) is having a lovely re-enactment of a Medieval war…until one of the participants is actually murdered. It is up to Detective Peter Brichter and his wife Kori (whose SCA names are Lord Stefan von Helle and Lady Katherine of Tretower) to solve the crime! In Murder at the War, policeman Peter Brichter (known in the SCA as Stefan von Helle) and his wife, Kori (known as Katherine of Tretower) go to the war for the fun. But the revelry turns deadly serious when a known troublemaker, Thorstane Shieldbreaker, is actually murdered. The local police, anxious to find the culprit, turn their attention to Peter and Kori as suspects once they find the two have quarreled with Thorstane. 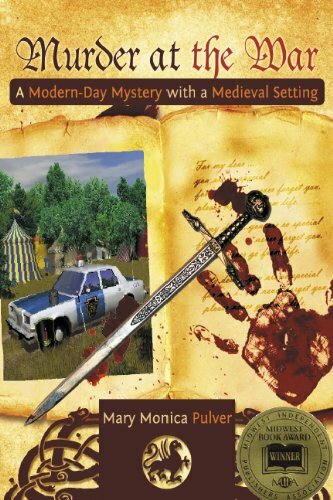 It is up to Lord Stefan and Lady Katherine, with their knowledge of the SCA, to clear their names and solve the crime. Click here to pick up your copy of Murder at the War.